Where would we be without Emily and her Sugarhouse Coffee? 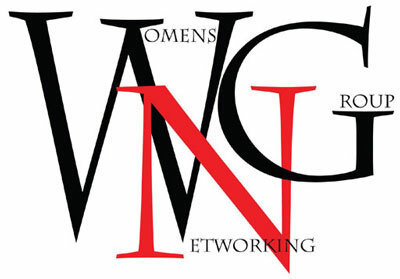 Her place and her presence is an integral part of our Women’s Networking Group. Her passion for people (and coffee!) create a safe place for people to gather, grow, and relax over a fantastic cup of coffee! She is an inspiration to me as a mom and an Entrepreneur. She has the ability to not only balance the business side as well as maintaining such a close relationship with her kids. Not only is she another one of our golf tournament’s sponsors this year, she is an inspiration to us all to Rise Up, step out of our comfort zone and push ourselves despite obstacles in our our path! Rise up, Ladies! I LOVE being a mom. My kids are my world and I would do absolutely anything for them. I love watching them grow in bright individuals. Jaxon and Aliya Juel are my number one. They are always my priority. My role model is my mom. She is one of the brightest, strongest and hardest working woman I know. She has taught me the importance of fighting for social justice, for not being afraid for what you believe in. My mom has always been my biggest supporter even at times I may have made it difficult to support. I am lucky to have grown up with her as a role model, a mother and a friend. She is the best. I have had so many amazing mentors support me these past few years. A key mentor for me over the has been Karin Palle. She wants everyone to succeed and is happy to share her wealth of knowledge. She has been a cheerleader at times that I didn’t think I could succeed. Karin has pushed me to reach outside my comfort zone and conquer challenges in ways that have helped me grow Sugar House Coffee. I am forever grateful for her mentoring and friendship. I also love that if I need help with anything she can refer me to someone, very resourceful. Australia, the Land Down Under, need I say more? I have seen so many gorgeous photos that make me dream of visiting one day, for an extended period of time so I can embrace and learn the culture and be submerged into a community there. I have a friend that lived there for a few years and it sounds amazing. I am also intrigued by the Aborigenes and would love to see their homeland and learn more about their history. Currently it is “Rise Up”. I always tell me kids to Rise Up! Someone tries to pull you down? Rise Up! Be kind to them and show them they can’t bring you down with them. You have anxiety? Rise Up! Learn to breathe through it and gain control of YOU, don’t let anxiety control you (this one is said daily). Feeling sad? Rise Up! You decide today if you are going to make it a good day. These may be easier some days but I am trying to teach them, as well as myself to gain control of our lives, of our emotions so that we don’t let others decide the day we are going to have. Rise Up, it may just be the best day of your life. Currently, the Whole 30 blog and Instagram. I have recently found out I am intolerant to gluten and lactose so I am adjusting what I eat. I love the recipes on Whole 30, even though I am doing it. All the recipes work for my dietary guidelines and most of them are delicious. Be ok with getting out of your comfort zone sometimes. You will be amazed at what you can accomplish, learn and who you can meet. I am very shy and terrified of speaking publicly, but am always amazed at how I feel and what I learn after the fact. Stepping out of my comfort zone every once in a while always turns out to be worth it. I am so grateful for all the women I have met through WNG!